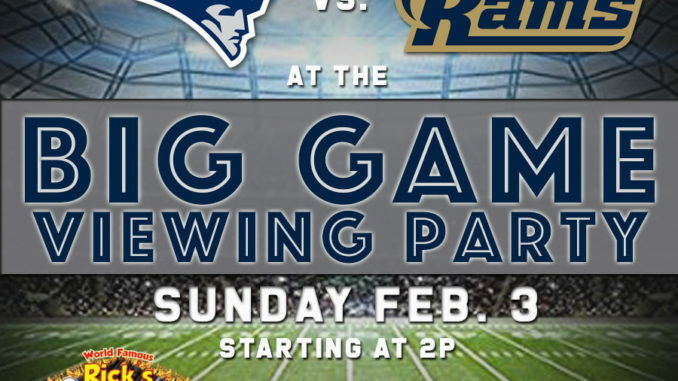 Join Gonzo and the Highway Road Crew for pizes, fun, and the Big Game on Sunday. Rick’s Football Parties are the stuff of legend. 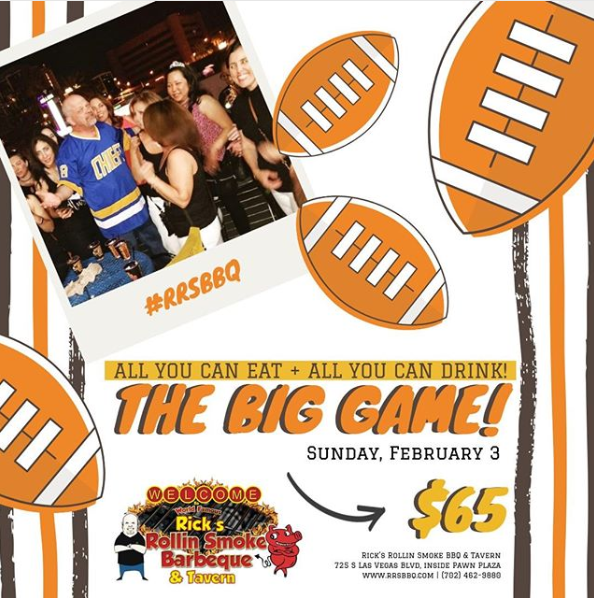 Upstairs in the tavern, and on the deck overlooking Las Vegas Boulevard, catch all the action with big screens everywhere, the best BBQ in Sin City, and your chance to win team jerseys, NFL merch, show tickets, and more. Take advantage of the All You Can Eat and All You Can Drink package for just $65. Rick’s is our neighbor at Pawn Plaza, 725 S. Las Vegas Boulevard in Fabulous Downtown Las Vegas.